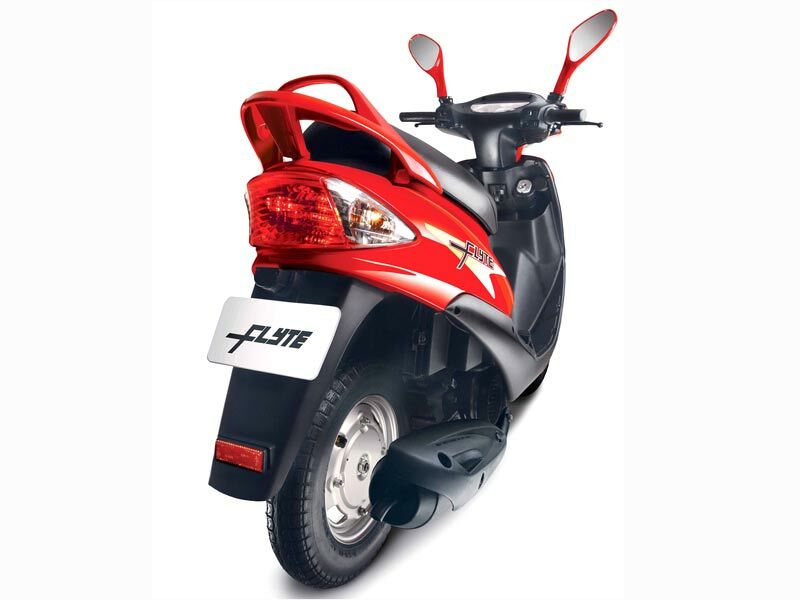 Mahindra Flyte is the first scooter launched by the Indian automaker giant Mahindra & Mahindra (M&M). Check out the review and read about the specifications and price of Mahindra Flyte in India. 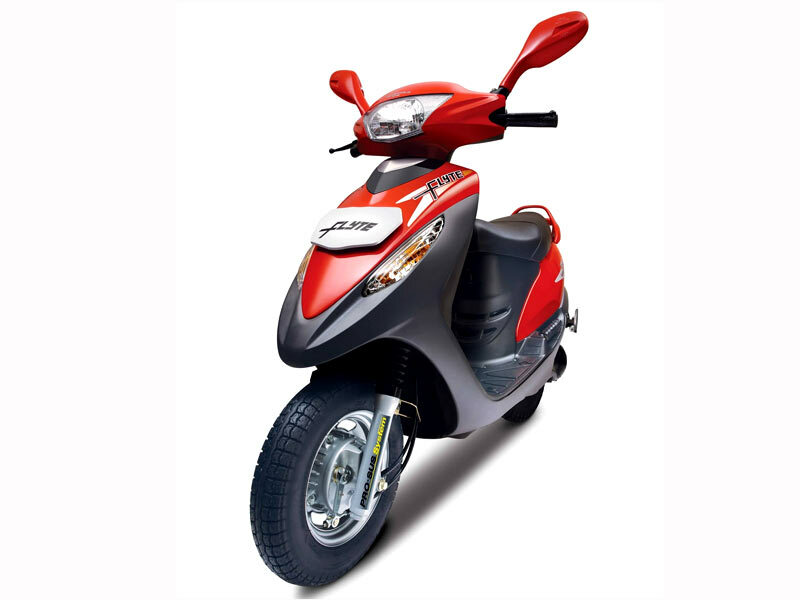 Indian automaker giant Mahindra & Mahindra (M&M) entered the scooter segment of the automotive industry of India, with the launch of its stylish 'Flyte', in early 2009. Following the vehicle's launch, the company introduced two more scooters - 'Duro' and 'Rodeo'. Mahindra Flyte is a two-wheel jazzy automobile, best suited for daily use. The scooter can be driven smoothly on the pot-holed Indian roads, without the fear of losing grip on the road. Superior design, performance and great comfort are the highlights of the scooter, which stands out in its class. With a range of dazzling colors on offer, Mahindra Flyto is surely a head turner! Mahindra Flyte, a petrol-driven two-wheeler, is powered by 124.6cc 4 stroke engine, which delivers maximum power of 8.0 bhp at 7000 rpm, with maximum torque of 9.0 nm at 5500 rpm. The automobile can acquire a top speed of 80 km/h. The automatic (gearless) Flyte offers the options of self and kick start to choose from. 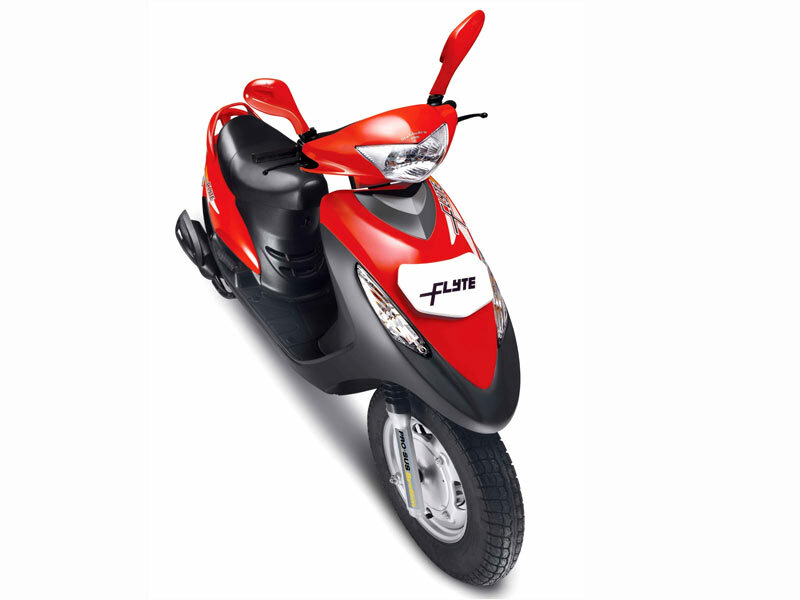 Mahindra Flyte is attractively designed to increase the appeal of the person riding it. The specially designed seats of the scooter are large and comfortable. Long journeys would be extremely comfortable on the Flyte, no matter whether you are riding it or enjoying the ride. The telescopic suspension of Mahindra Flyte ensures that you enjoy a very smooth ride even on uneven roads. In case of re-fuels, all you need to do is open the fuel lid provided in the front of the vehicle. Designed specially to attract the feminine customers, Mahindra Flyte delivers an average mileage of 38-40 kmpl. Mahindra Flyte is available in six vibrant colors, including Red Oomph, Black Mystique, Jade Charisma, Lavender Groove and Silver Flash. The scooter is priced at Rs 39990 (Ex-showroom, New Delhi).